Basketball games are usually fun variations of the conventional game that are played with two or more people. They can be played anywhere with a basketball hoop and a basketball. Some well known games such as H.O.R.S.E. are simple and relaxed. 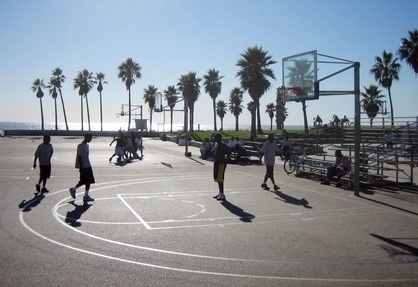 Others such as King of the Court play like an actual game of basketball. The great thing is that they involve more than fun and games. Many, if not most, utilize fundamental basketball tools and techniques such as all around shooting around the floor or one-on-one skills. For coaches and players alike, they are great ways to take a break from full court basketball and improve some skills while you're at it.